I Purchased CP in server Creddy Reborn 110 By a visa. But I'm don't get my CP Who's Can Help me. First check the order status. Try to contact with super rewards support, maybe there some problem or delay with the payment. i has purchase from visa. 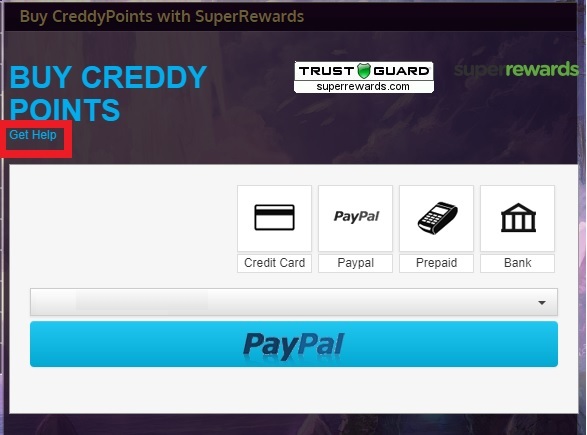 i Don't know how to contact With SuperRewards i try to join my account in website Creddy Reborn and login my account and click it SuperRewards , But I am being transferred to website Creddy Pvp Z 125. Important: If it's your first time donating over $25+ and you're using a Direct Pay method (like Paypal/Credit Card) your CP may arrive delayed due to SuperRewards security regulations. If you want it to be faster, you can mail support@superrewards.com. The verification process has nothing to do with us. هام: إذا كانت هذه هي المرة الأولى التي تبرع فيها بأكثر من 25 دولارًا أمريكيًا وكنت تستخدم طريقة الدفع المباشر (مثل Paypal / Credit Card) ، فقد يصل CP الخاص بك إلى تأخير بسبب أنظمة أمان SuperRewards. إذا كنت تريد أن تكون أسرع ، يمكنك إرسال بريد إلكتروني support@superrewards.com. عملية التحقق لا علاقة لنا بها.